When Joshua and his sister Ruth set out on their journey to rejoin their parents out west, they expect a few rough spots. What they don’t expect is that their stagecoach will be waylaid and robbed, leaving only the two children to escape. Worse still, the one surviving outlaw knows that they’ve seen him and has no desire to publicize his face on a wanted poster. 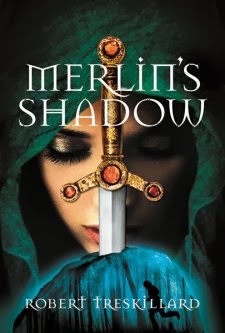 After a rough start with book one in The Merlin Spiral, Treskillard is back and better than ever with Merlin’s Shadow, bringing an excellent addition to the much-improved Arthurian series. Stakes are higher, tensions run deeper, and unlikely allies are summoned. It’s a strong addition to the series, and Treskillard has really improved as a writer between the two books. Set in Oklahoma during the Dust Bowl of the early 1930s, when severe drought caused disastrous crop failure and loosened and exposed the tired topsoil of the Great Plains, and relentless gales swept up storms of dust violent enough to block out the sun and even suffocate those who were caught unprepared, The Grapes of Wrath narrates the story of the Joad family as improving industrial technology renders them and their fellow sharecroppers impractical and forces them to abandon their farms, their homes, and their old way of life in search of work in the legendary orchards of California and a place to call home. Their journey is characterized by struggle and tragedy, passion and hatred, and a beautiful unity and interdependence among fellow human beings. 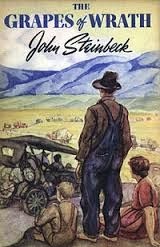 Steinbeck’s book is very political, depicting the worst of a selfish capitalistic country that values profit more than people, and assertively proposing instead the equality and philanthropy of socialism. However, Steinbeck also delves deeply into the more abstract themes of religion, hope, suffering and sacrifice. The book proved spectacularly thought-provoking to me, and has significantly impacted my view on life in general, and on politics especially. Steinbeck clearly crafted this work very carefully and intricately. Each page has a rhythm to it, and Steinbeck writes the speech of each character as it is intended to be read, with the sayings and accents and quirks appropriate to his background. I could not help but read the book out loud. However, it is undeniably a difficult read. Though not of any particular concern to me, the book is long, but what makes it challenging is that Steinbeck apparently exhausts a good deal of his expansive vocabulary as he describes the minutest details of each scene, the story at some points seeming to drag along altogether too slowly. In addition, Steinbeck is not bashful and generously supplies the reader with the profane language and vulgar imagery that would come naturally to one from such a background as his characters. (I am usually able to tolerate or overlook such “cultured” language, but even still there were numerous times when I would turn red and timidly drop my voice to an imperceptible whisper.) Patience and no small amount of caution are necessary to read this book, but to those who can I would strongly recommend it. I thoroughly enjoyed the book and consider it so far my greatest accomplishment as a reader. A captivating and absorbing story and a beautifully crafted novel, I highly recommend The Grapes of Wrath to those who are ready to meet Steinbeck’s challenge. I myself look forward to rereading this book in the not-so-distant future. 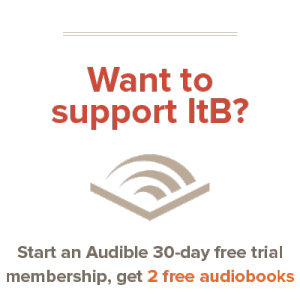 Buy The Grapes of Wrath on Amazon and Support ItB! The only category I feel no doubt placing The Gamecocks in is “Southern.” It has dramatic, mysterious, mischievous, and most importantly historic content. The book is set up with the main character introducing each chapter of his story by reading it to us, himself being the author. This gives a sense of realism which is necessary because, in fact, the historical reveal brought forth here is being brought forth right now. Jake, the main character and “author”, is quite a real person. In fact, this is true with each of the greater-seen cast. The time Mrs. Stephanie Sellers invests in her characters is very clear to see, and impresses me a great deal. She tied these characters very close to the South, and therefore the reader too. I felt ready to see a rowdy procession at the church, boys being told off by their momma, or Fisk and Wart runnin’ after a snake. Likewise, she doesn’t tone the speak down completely, neither. Now, for the history. I appreciated the beginning exposition on the discovery of the Lumbee’s origin. This helped me track the book as I was reading, and made it much easier to understand once repeated. But, I also appreciate it for not saying all that would be said. It left quite a bit at the end for the Knights Templar, the Portuguese, the Council, etc. The title of the book doesn’t become very clear until the end. This is where the action begins to unfold, and abruptly finishes the story. The end was unexpected, but when I think about it, was necessary. This is because it leaves much room for mystery that won’t be revealed, meaning there will likely be no sequel (not that it needs one). 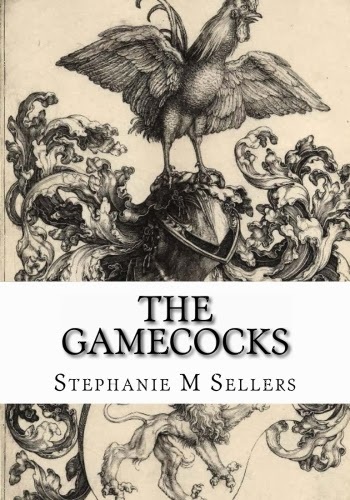 In conclusion, The Gamecocks is a Southern-to-the-heart story of two friends trying to bring the historical truth of the Lumbee origins to light. It has fantastic characters which bring out the South in the reader, and has great historical enlightenment, which we would all benefit to learn. Buy The Gamecocks on Amazon and Support ItB. What if they’d invented rock ‘n roll way back in the 19th century? 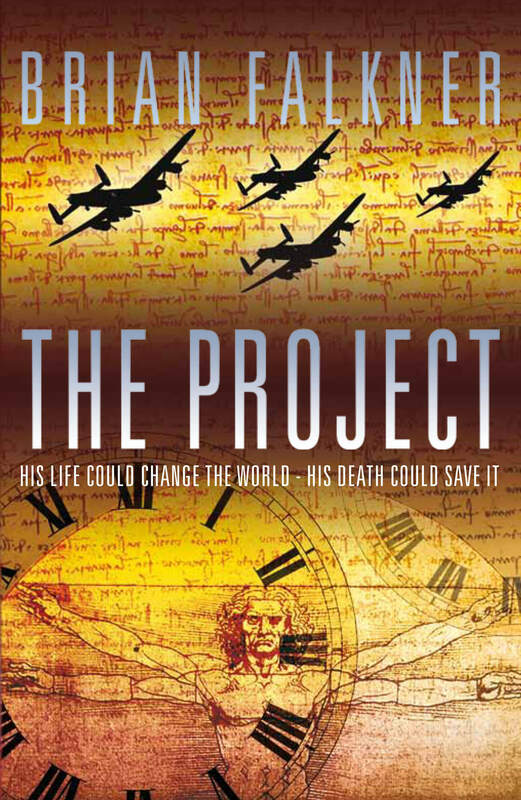 What if it could take over the world and change the course of history? In the slums of Brummingham, the outcast gangs are making a new kind of music, with pounding rhythms and wild guitars. Astor Vance has been trained in refined classical music. 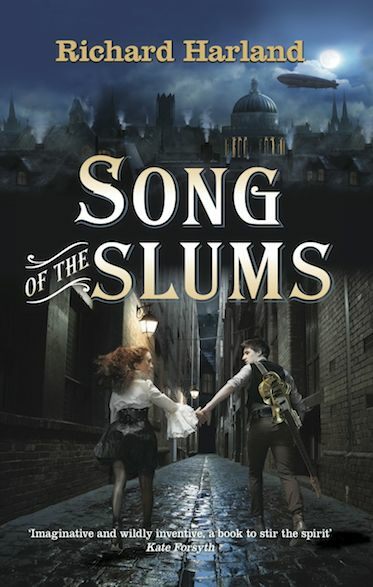 But when her life plummets from riches to rags, the only way she can survive is to play the music the slum gangs want. A book that celebrates steampunk and music. Honestly, can it get any better? Having previously read Richard Harland’s Worldshaker and enjoyed it, I immediately latched onto this book when I saw it advertised at a book store. I was captivated by the title and theme, and curious as to how it could be pulled off. Steampunk and music, in a book no less? I was not disappointed. When Astor, a young lady brought up in a well-to-do British home visits the powerful Swale family with her mother and step-father, she is under the impression that the intended purpose of their visit is to arrange a proposal for her to marry the youngest Swale brother. Not so. Her step-father has contracted her out of the house to become a governess to the Swale’s three bratty youngsters, and Astor is horrified that her position has been so drastically lowered. The children make her life a misery, and no amount of effort on her part can possibly make them learn, so Astor is reduced to trying to keep order whilst the young Swales make mischief out of everything. The one comfort she was granted was a servant from home, however Verrol seems to be much more than he appears. After the two eavesdrop on an important political conversation between the older Swale brothers, Astor’s letter to her influential step-father warning him of the Swales traitorous dealings is intercepted and causes both Astor and Verrol to flee from the household into the dirty slums of the outer city. It is here they come across “gang music” and its players, but it is nothing like the delicate harp and stringed music Astor has known. However it being their only hope for protection, Astor and Verrol join the band and before Astor realizes it, the music has captured her; and it may become the key to how they can fight back against the looming revolution. Though not a particularly fast moving book, this was one compelling read. My biggest concern was how well the appreciation for music would be portrayed, since the plot was so pivotal on this point. I needn’t have worried. There were so many moments throughout this amazingly fascinating story that stood out for me as a musician – the author knew exactly what he was talking about. The essence of the musical world was captured so fully, I found myself grinning with delight or laughing with the dialogue because I knew the feelings so well. The whole band was as if bonded together in a single state of euphoria. When they started to speak, they all spoke at once. I also love the author’s recognition of the power music has. It’s not just a pretty noise, or a pointless art; music is a movement, and it can state a belief or conviction with more passion than words alone. Music is God’s gift to mankind, but like all His gifts, it can be perverted. We as Christians often need to be reminded to recognize what a powerful tool music is and be responsible stewards of it. Music can be the voice of God, or the voice of the devil. The world and setting of the book is gritty and authentic; a very real, tangible depiction of what futuristic 1846 could well have looked like. The book – though not fast nor slow – moves through the story at a good pace, and the characters grow and mature over the way; not changing so fast that the facts are spat at you. The historical elements were also very believable, as were the political references. Content wise, there is nothing to speak of. The book is clean language wise, and although this could also be dubbed a ‘gaslight romance’, I feel that the romance is so well written that it is on a deeper level than today’s general romantic fiction. There are no kisses or anything physically romantic shared between said characters, but the heart of the matter was clearly visible. Definitely one of the more brilliant examples of romance in fiction that I have come across. This book is proof that a romance can be pure and simple, without anything physical shared or really even said. This is showing-and-not-telling at it’s best. In closing, I give Song of the Slums five very hearty stars out of five. I will definitely be on the lookout for more of Mr. Harland’s steampunk works. Buy Song of the Slums on Amazon and Support ItB! 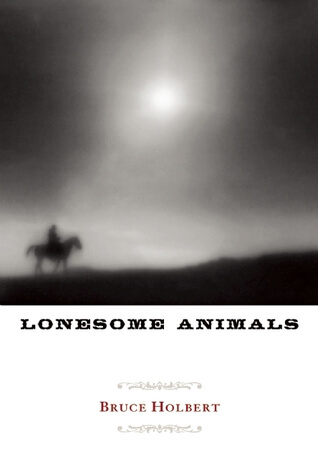 In Lonesome Animals, ex-lawman Russell Strawl is drawn from retirement to track down a serial killer. Joined by his son Elijah – a drifter who fancies himself a Catholic prophet – Strawl follows the trail of bodies from place to place: always trying to get one step ahead, and always seeming to be one step behind. As the hunt lengthens, Strawl’s own dark and broken history is laid bare, leading in turn to shocking revelations about the killer’s identity. 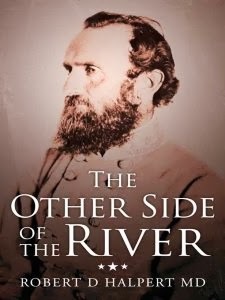 The Other Side of the River is a novel featuring one of the most interesting leaders of the Civil War: Thomas J. Jackson, or Stonewall Jackson. This book leaps inside his head, mixing fact with fiction to examine his faith in God and how it relates to his real-life actions during the battles of the Civil War. This novel does a great job of capturing the intense emotions of the time alongside a close-up look at the man himself. The novel holds to the facts of Jackson’s life about as well as the movie Gods and Generals does, that is to say, fairly accurately. Thoughts and conversations are, of course, invented, and this is where the novel is weakest. As is often the case with ‘spiritual’ novels that relay religious thoughts through the main character’s thoughts, The Other Side of the River often comes up as cheesy and contrived. It is not my favorite way to embed faith into a book. Because there is a concrete story to follow, the book does not exist for the sole purpose of preaching — it’s not as overtly spiritual as other books I’ve come across. The writing is questionably good. This novel doesn’t have the striking prose of, say, Gods and Generals or Last Full Measure, or any of Shaara’s war novels. The battle scenes will not grip you as you turn pages. So, sure, the writing’s good, but for a war novel, there isn’t enough passion. And perhaps that reflects the focus of this novel: it isn’t a page-turning thriller. Instead, it’s a more personal look at Jackson himself. This could have made The Other Side of the River a real winner, if it had been properly executed. The novel plays heavily with Jackson’s sense of ambition and pride, contrasted against his faith, but it’s overall clunky. The thoughts seem unrealistic, even naive at times. It takes a master to inject realistic thoughts into a novel properly, and Robert Halpert just couldn’t pull it off. To be fair, it could be worse. But why settle for mediocre? In general, the book is an okay read, mixing various elements in a fairly skilled manner. It’s not a classic, but it’s worth your time if you’re a Jackson fan. If you’re a Civil War buff, or only looking to be one, then you’re better off looking at Shaara’s novels (links above); they’re much better written. But if you have a spot in your attentions for Stonewall Jackson specifically, as I do, then this book is worth your time, even if it’s not an outstanding book. Life of Pi, recently made into a major motion picture, is a philosophical novel that expertly captures your attention and captivates you throughout every page. 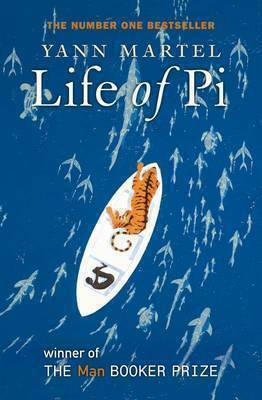 A survival novel at the very core, Life of Pi is layered with philosophical questions and thought-provoking statements. It’s an excellent read that’s well worth your time. Pi Patel is headed to Canada with his mother, father, and brother; and an entire zoo’s worth of animals. But when their ship, the Timtsim, sinks for no apparent reason, Pi is left by himself on a twenty-six foot lifeboat: with a full-grown Bengal tiger. The tiger (named Richard Parker) kills the other animals on the lifeboat, and Pi is left alone with him. The book tells Pi’s survival story: how he survived for almost a year on the lifeboat with a tiger. It tells of his struggles with the tiger and how Pi gradually trains the tiger, so that even if they are not the best of friends, they are surviving together. Pi tells the story of his bizarre encounters with another castaway, and his brush with a carnivorous island. The book ends with Pi’s return to civilization, and an interview with two officials from the shipping company that owned the Timtsim, who are attempting to discover the reasons behind the ship’s sinking. Pi tells them the entire story, and in one sharp twist, the entire book is changed; for it asks a question that cannot be answered and torments the reader’s mind for days afterwards. This twist ranks in my mind as one of the best philosophical questions in literature. But you’ll have to read the book to be asked the question. Of course, Life of Pi isn’t without its faults. Pi embraces a very humanistic, all-roads-lead-to-the-same-place viewpoint that enables him to cry out to Allah, Jehovah, and all of the Hindu gods in one breath. The priest, imam, and Hindu priest are seen as narrow-minded because they refuse to accept that one can follow all three of their religions: they are contradictory, after all. But Pi continues in his religious mix throughout the novel. Overall, this is a fantastic novel. I’ve been looking to read it since the film came out, and now that I have, the film is next on my list. This is an excellent book that delivers more than just a good survival story: it asks piercing questions about humanity and who we are. Even if a few of its answers about religion are off the mark, I highly recommend this book. The day that Travis Hamilton was arrested, he never thought he’d be accused of murder. Let alone be sentenced to ten years of hard physical labor in the Dead Mines, from which few return alive. Even then, he never would know the measure of torture that mining could be. Shoved in a hostile environment, where men are more animal than human, and none interested in making friends, Travis is faced with a monumental choice of whether it is best to give in to the demands of a sinister enemy, or to die without compromise. Ross Hamilton, just a humble rancher, is certainly no detective, but when his brother is falsely accused or murder, he leaves the ranch hanging, and throws it all on the line to find out what really happened that night—and who really shot the man his brother was accused to murdering. The tests and trials that come to them in but a few weeks, are beyond what they could have ever thought to have faced, but deep down inside, they know that the only way to survive through the mystery, with scattered enemies, and sinister cover up, is to never back down. Never compromise. Truthfully speaking, I am not one to typically read a western. 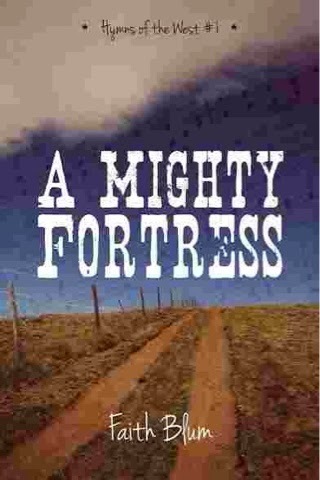 In fact the only westerns I really like are Cormac McCarthy, but this book has made a huge exception for me. 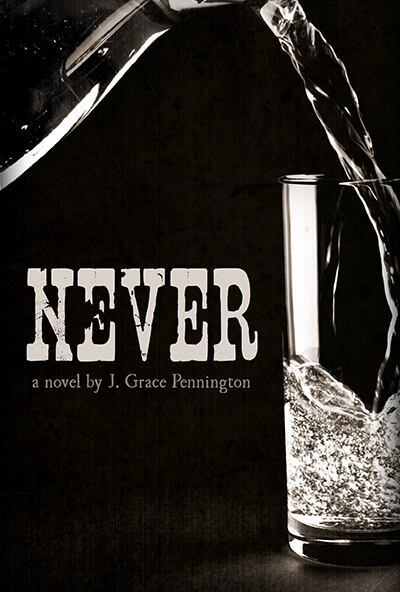 Never, the second novel from the mind of J. Grace Pennington, is not just a western. It’s not even just a mystery—the book is a morality tale, painted for us against the backdrop of the old west, and seasoned with a plot that keeps you guessing. The characters that populate this tale are excellently varied, from the persecuted lead, Travis, the loyal brother, Ross, the schoolmaster Hayes, and the sinister villain. These characters seek to explore for us the question of whether or not to compromise that which is important to us, even when the cost is unbearably high. Do you give in? Or will you, like Ross and Travis defiantly stand and say: “Never.” It’s that element that makes the novel so incredibly appealing—and compulsively readable. This is the kind of book that leaves you wanting to find out about the characters, and grasping to deal with the same moral questions. In fact, one of the things I would suggest you do while reading, is have a pad of paper and ask yourself the same questions. All of these are matters that we must face—for its all part of being human, and in particular as Christians. This being the second novel that Pennignton has produced, already you can see a great level of growth as a writer, and this in particular leaves me fascinated to see how much farther this growth will continue into her future endeavors. Perhaps that’s what makes this novel so interesting, is because to see this writer tackling issues like this already, it leaves me very interested to see what she will produce as she goes on and grows. With all that said, I give this one four out of five, a great second effort from this writer, and I’m waiting to see what happens next.